Transformational Life coaching wellness package. Inspired by Your Business Women's Wellness Retreats are held twice yearly in the alpine village of Hanmer Springs, New Zealand. Retreats are intended for budding entrepreneurs, and women already in business looking for an opportunity to discover and clarify big visions, core values and passionate 'WHY' behind your business' daily motivation in a nurturing self-care and relaxing environment. Retreats are held at Vibrant Living Retreat & Mountain View Day Spa twice yearly. The retreats are co-facilitated with Roisin Brady, a life and business coach from Queenstown and Mary Jo Halligan, the co-director of Vibrant Living Retreat. On this retreat, you will discover how to connect to your deepest heart and soul's vision. 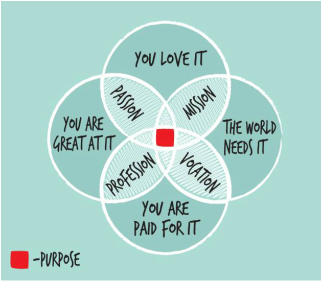 Your passionate 'WHY' behind your business' vision, or any other life goals that you may have. What you will learn and experience can be applied to any area of your life such as health, relationships, abundance and general wellbeing. You will leave this workshop with greater understanding and clarity of your life's purpose and the correct direction for you moving forward in your life. You will leave with a wellness glow and a bag full of great tools, insights and practices to put into inspired action in your life and business. This one of its kind Women's Retreat in Hanmer Springs is for those thinking about striking out on new ground to run their own business or start something new. It is especially intended for YOU women that are desiring to follow your heart and inner guidance compass to create an intelligent business that you love and contributes to the world around you in a meaningful way. It is also intended and intelligently structured for those with experience as business women and whom are looking for the opportunity to revision and expand one's business or start a new venture; AND doing all this while taking care of self in a relaxing, nurturing, wellness environment. Expect to leave fully recharged, inspired and connected to your deepest renewed passions, values and the big "WHY" behind why you do what you do in your life on a daily basis. This will be your greatest daily motivational fuel, especially on those more challenging days. 1pm and 4pm: is your free time on our second together. Attendees are welcomed to take a dip in our Spa Pool, visit the local Hot Pools, book a Massage at Vibrant Living Day Spa (MVM), Journal, Relax in Vibrant Living Gardens and Court Yard or take a stroll in the forest or enjoy some relaxing reflective time on what you discovered in your Inspired Business session that day. For more information on what will be covered over our 4 workshop sessions together, click on this PDF file just below. 2 day Inspired Business Retreat is just $888 inclusive of luxury accommodation, all 4 sessions, Inspired Biz workbook, 2 x yoga and meditation sessions, 2 x breakfast, 2 x dinner, Group and Personal Coaching, 1 hour Aroma Bliss massage, Hot Pool Pass, Designer Journal and access to Library and Inspirational DVDs. Check out Vibrant Living Retreat 3 different accommodation options by clicking HERE Book early to get the best accommodation options. Lunch and any additional spa treatments to what is inclusive in your package is additional extras. This retreat experience will help you shine the light of awareness and intelligence on those places within you that may be holding you back from moving forward with absolute confidence, faith and trust, and getting the results you want from your life in business. But in essence, you can apply what is learnt to any area of your life like relationships, health and general wellbeing. This is your opportunity to clear the clutter and confusions within your mind, body and emotions, while at the same time painting your new business visions and life passions onto a fresh white canvas with deep confidence, clarity and certainty of your next steps forward after you leave. Myself and Roisin are excited to share and highlight many of the joys, challenges, helpful tips, practical business tools, coaching and greater wisdom of the universal laws that we got to personally learn about and integrate on our individual journeys. It is our deepest honour to share with you that what has lead us to becoming the passionate heart centred entrepreneurs we are today, and living our lives with greater purpose, health, abundance, confidence, contribution and happiness. Your co-share facilitators Mary Jo Halligan & Roisin Brady can't wait to share this experience with you at Vibrant Living Wellness Retreat in Hanmer Springs.